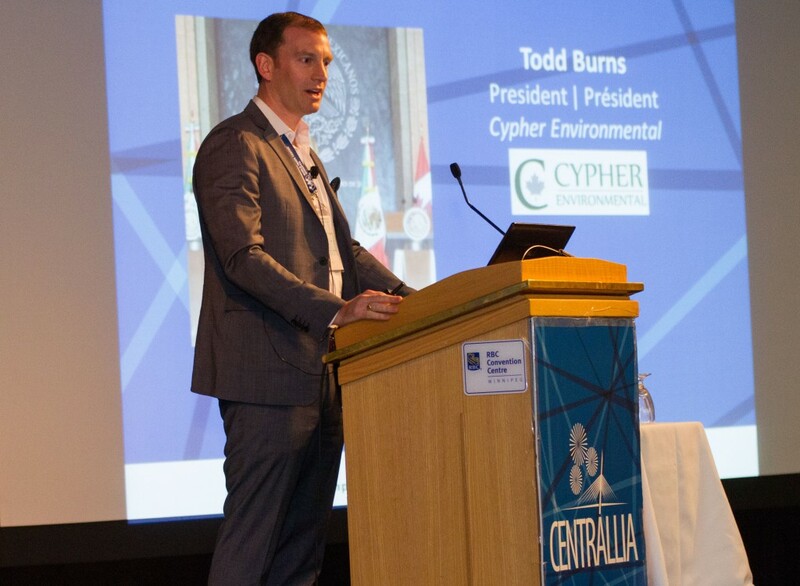 On May 25th, 2016, Cypher Environmental’s President, Todd Burns, was asked to present to a global audience at Centrallia, regarding their recent success entering the Honduran market. Since 2010, Centrallia has been successfully bringing hundreds of businesses together to help build connections and foster business alliances. Centrallia is an international business-to-business forum focused on generating trade and business development opportunities for companies from around the world. As part of Centrallia 2016, the WTC Winnipeg organized and promoted a one-day conference focused on The Americas, which is where Todd’s presentation took place. Cypher’s first venture to Honduras was in May of 2015, when a small demonstration road was built with EarthZyme. The country has a significant need for Cypher’s environmentally friendly soil stabilization and dust control solutions due to the combined presence of an abundance of high clay content soils, and a significant rainy season every year. The combination makes for a very expensive annual maintenance plan, due to the swelling effect on these roads built with clay after the rainy season, and the subsequent maintenance requirements that result. Therefore EarthZyme and Dust Stop’s ability to enhance the engineering properties of treated soils during and after wet weather are very attractive in the Honduran market. As a result of the demonstration road built in May, another 13 km’s were built later in the year, and there is a current effort in Honduras to tally up the amount of roads to be treated in 2016 and 2017, potentially in the 1000’s of kilometers so far. The H.E. Ambassador, Sofia Cerrato, joined Todd on stage for a moderated discussion on how Cypher entered the Honduran market and what the benefits to doing business there are, such as the Free Trade Agreement, between Canada and Honduras. Amongst other things, the government of Honduras is very open to green technologies and innovation, perfectly fitting into Cypher’s core competencies. We are thrilled, as an organization, to have the knowledge that the technologies we have developed can have such a profound positive impact on developing countries like Honduras, and were happy to share our story with the audience at “The Americas” conference at Centrallia!